The partners at Kaplan, Kandra & Co. were Louis L. Kaplan (1874?-1940?) and Stephen A. Kandra (1871-1945). They were in business together manufacturing structural and ornamental iron for less than 10 years, approximately 1906 to 1914. The business was located on Manhattan's East Side, first at 408 East 77th Street (1906-1908) and then at 438 East 76th Street (1908-1914). Notice in The Iron Trade Review, 29 October 1908, pg. 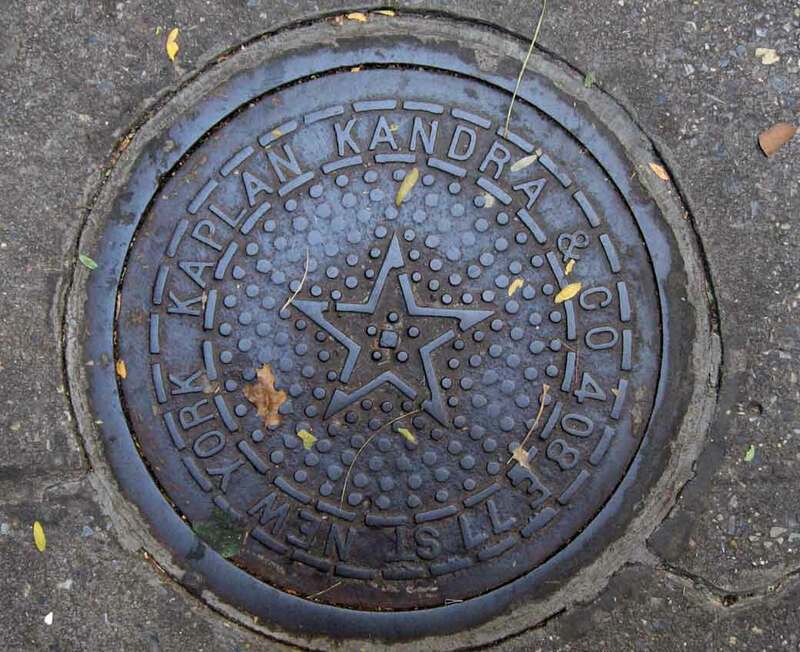 738, indicates they were incorporated 1908, "The Kaplan-Kandra Co., 438 East Seventy-sixth street, New York City, has been incorporated for $6,000 to carry on the structural and ornamental iron business heretofore conducted under the name of Kaplan, Kandra & Co., at that address. Louis L. Kaplan and Stephen A. Kandra are among the incorporators." Stephen Kandra, a locksmith, born 26 December 1871, became a naturalized U. S. citizen 12 October 1894. His petition says that he lived at the time at 258 East 4th Street, New York City, that he was formerly a citizen of Austria, and that he arrived in the U. S. at the port of New York 22 July 1887. He is recorded in several U. S. and New York State census reports, including the 1930 U. S. census when he was 58 years old, born Czechoslovakia, immigrated 1887. Louis Kaplan's name is less distinctive and his information less clear. In the 1905 New York State census he was 31 years old, born Russia, immigrated 1891, and living at 230 West 142nd Street, Manhattan. In the 1920 U. S. Census he lived at 251 West 95th Street, when he was 45 years old, born Russia, immigrated 1899. Ancestry.com's "Social Security Applications and Claims Index, 1936-2007" includes a Louis Kaplan who was born 15 April 1874 in Minsk, Soviet Union, and died 13 February 1940, but this identification is uncertain.